The Hampton Bay Carroll 1-Light Swag Drum Pendant adds a touch of sophistication and warmth to many rooms throughout the home. Perfect for eat-in kitchens, dining rooms, living rooms or foyer applications, this fixture features a fabric shade for aesthetic appeal. 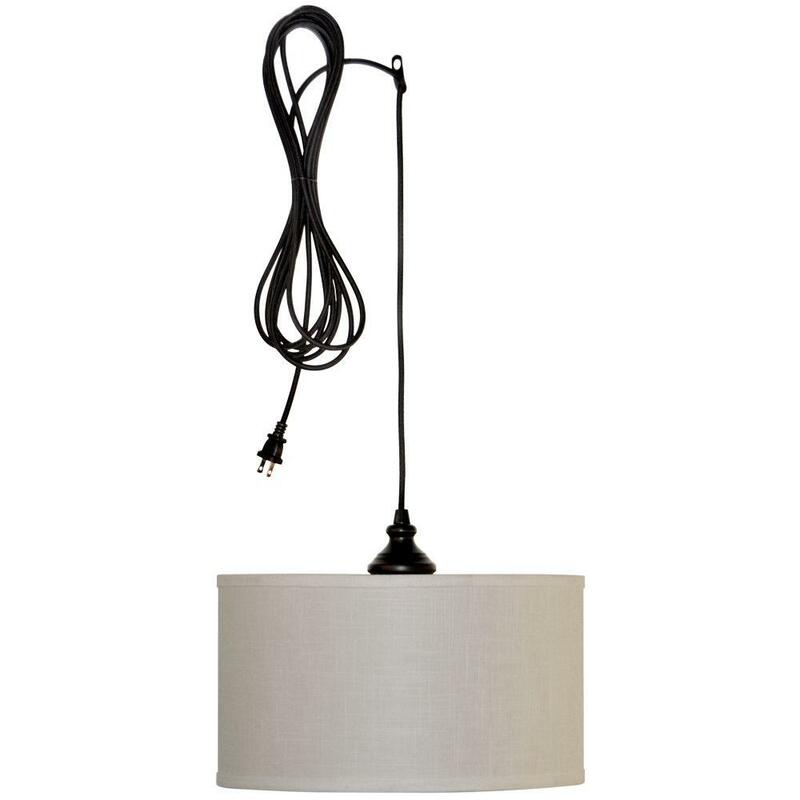 Installation is easy and versatile with a 15 ft. cord, and will add a timeless look at a great value for years to come. This fixture complements many home styles and decors for versatile use throughout the home. Exactly what I was looking for. The only issue is the cord is very long making it hard to hide. Superior Non-Stick technology and solution-driven design set Circulon bakeware apart from other Non-Stick bakeware. The technology begins with raised circles on the baking surface that are coated with PFOA-free premium-quality Non-Stick. 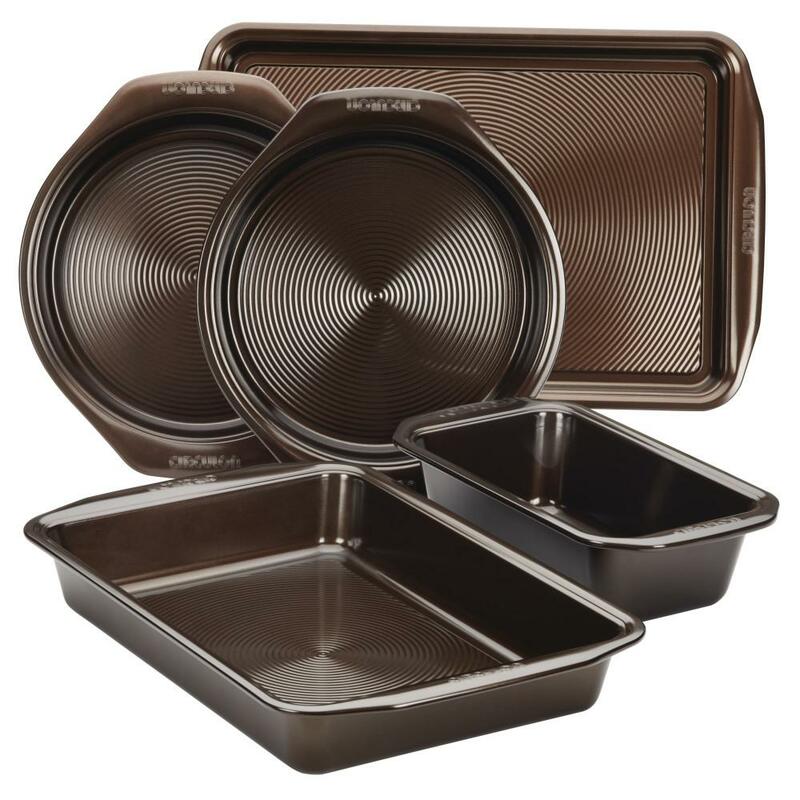 The rolled-rim bakeware design includes distinctive chocolate brown color inside and out, and wide handles for plenty of grip, even with bulky oven mitts. Blend all this together, and thats the recipe for lifelong baking enjoyment, whether youre a frequent cake maker or just a once-in-a-while cookie baker. And once the bakings done, all that exceptional Non-Stick technology keeps the cleanup easy. The set includes a pair of round cake pans, perfect for layer cakes made from mixes as well as from scratch. The rectangular cake pan is ideal for more than sheet cakes and browniesits a handy pan for a baked casserole, weekend frittata, and more. Like the cake pans, the loaf pan and medium cookie sheet are great for baking treats as well as meals, like a lean and savory turkey meatloaf or a mini-pizza dinner for the kids. Oven safe to 450F, this bakeware brings the Circulon kitchen-time-and-energy-saving approach to baking home. And with a Hassle-Free Lifetime Guarantee, the set truly delivers for the well-rounded life. Love this bakeware set! Nothing sticks to them and it's an absolute breeze to clean them. Amy has not submitted any questions. Amy has not submitted any answers.